There’s a new Twitter account trolling Lena Dunham after she had to apologize (yet again) for doing something stupid. Hailing from Melbourne, Jess Wheeler (creator of the popular account “Aus Gov Just Googled”) and Liv Croagh have created a Twitter bot called “Lena Dunham Apologizes,” which generates fabricated apologies from the Girls creator. After the internet blew up, Dunham apologized. Her apology was too little, too late for some. 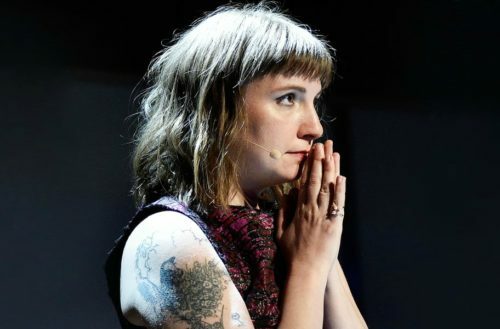 Writer Zinzi Clemmons, author of What We Lose, announced that she will no longer be writing for Dunham and Konner’s online feminist weekly newsletter Lenny Letter because, she says, Dunham and her friends’ racism was “well-known” prior to their fame. “She cannot have our words if she cannot respect us,” Clemmons writes. While the Twitter account’s apologies are hilarious, they’re not that far off from reality. Someone tweeted a list of her actual apologies.